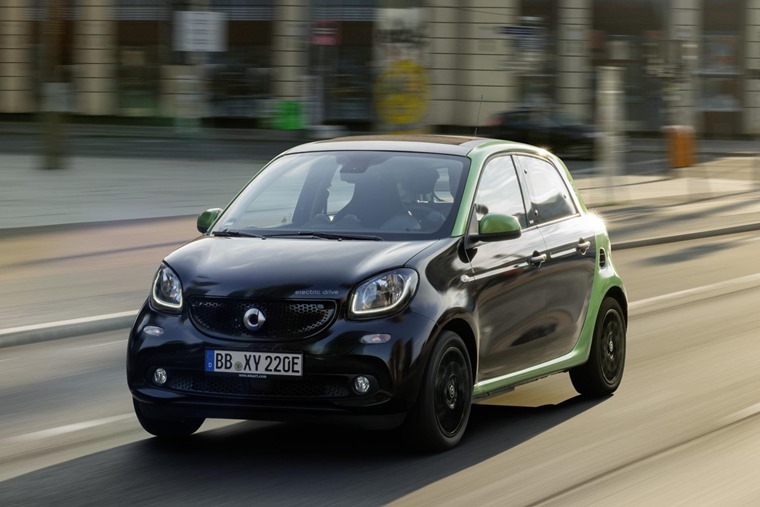 Smart's ForFour is a much more practical proposition than the smaller ForTwo. Equipment levels are high, 0-30mph time is sensational, but it lacks the real-world range of rivals. Excellent in the city, less so elsewhere. 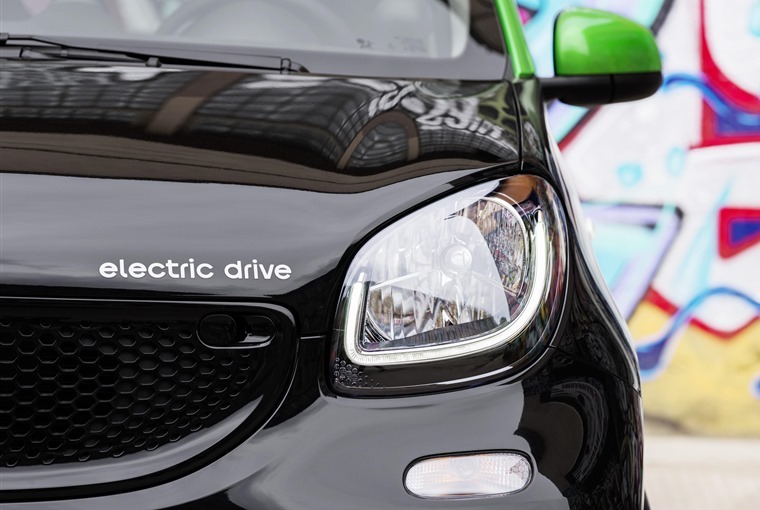 Smart is known for its diminutive two-seater car, the cunningly named Fortwo. It’s a great little city car, and one that’s recently been given the option of an all-electric powertrain, making it both space efficient and energy efficient. Anecdotally, there’s a surprising number of people that aren’t aware of the Fortwo’s bigger brother, a car that seats four people and comes with an equally intuitive name - the Forfour. For not much extra outlay, there’s a whole lot more practicality and, for the first time, it will also be available with a pure-electric, rear-mounted 80bhp motor borrowed from Renault. Instant torque means traffic light starts are always fun. Under the floor is a 17.6kWh lithium-ion battery pack that results in a promised range of 96 miles. However, Smart is being refreshingly honest with its range expectations, suggesting that anything over 70 miles would be considered impressive. Around the city the instant torque offered by that motor, combined with a lightweight construction, means that traffic light starts are always fun, while the temptation to jump into any gap, no matter how small, is always there. With a 0-62mph time of 12.7 seconds, a second slower than its smaller sibling, there might be an assumption that it’s not one to hurl around, but the 0-30mph time is sensational. Start exceeding urban speeds and the car begins to feel a tad lethargic, fading away until anything at motorway speeds begins to be a drain. Start exceeding urban speeds and the car begins to feel a tad lethargic. In between the two extremes, it handles quite well. There’s 140kg of battery pack that’s housed low down in the chassis, helping the car to remain balanced nicely and reasonably compliant when throwing it around a country lane. However, the disconcertingly light steering makes precise direction requests more difficult than they could be. Head back into town and the ride quality is a little more unsettled; stiffer springs to accommodate the extra weight make it more compromised than the petrol model. In aclever move, Smart has introduced radar-controlled regenerative braking. However, it’s still more comfortable than the Fortwo. All the suspension refinement in the world won’t help the inconsistent brake action though. 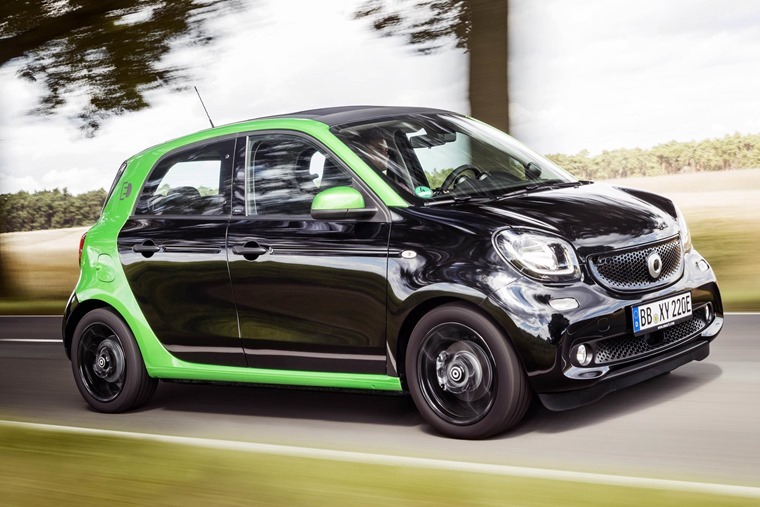 In a very clever move, Smart has introduced radar-controlled regenerative braking. When lifting off the throttle, the car looks ahead to see what’s going on and decides how much energy to recover as it slows down, and therefore how much extra braking capacity the car provides. Sometimes it’s quite noticeable, slowing the car abruptly, but other times the car coasts along like the Mary Celeste, and it’s never entirely clear which it will be. Equipment levels are high enough to keep you distracted from the brake issues though, with Smart taking the view that a premium price deserves extra goodies. All of the controls and dials all look and feel good. 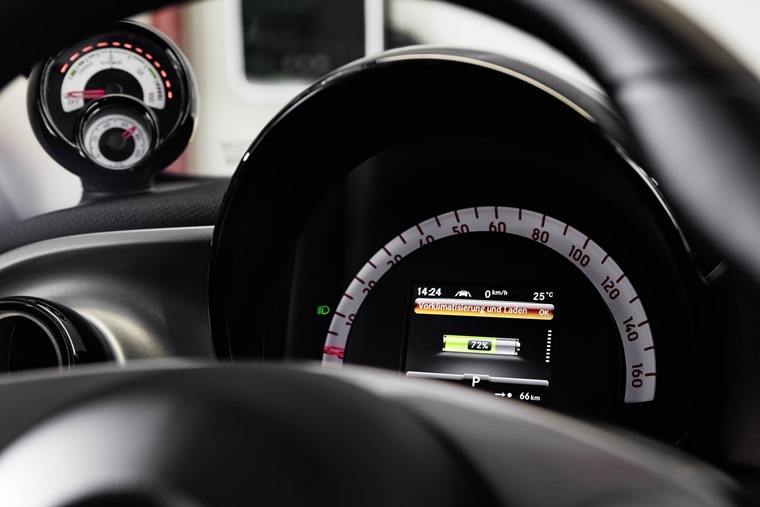 There’s cruise control, DAB radio, a touchscreen infotainment system that includes TomTom satellite navigation, and an app-based smartphone connectivity option that allows owners to remotely control some of the car’s functions such as setting the heater to come on or checking on charge status. As well as having the premium price and equipment, the Forfour has a smart fabric-covered dashboard that could be described as, well, premium. All of the controls and dials all look and feel good, and that holds true in the rear seats as well, where a small but comfortable bench seat can accommodate two adults. The added practicality of the Forfour goes a long way to increasing the appeal of a Smart. The seats fold down to extend the otherwise compact boot - the electric motor sits under the boot floor, taking up some space, but no more than the regular petrol powered model as its engine is also in the same place. There’s no room for a rapid charger though, at least not yet. 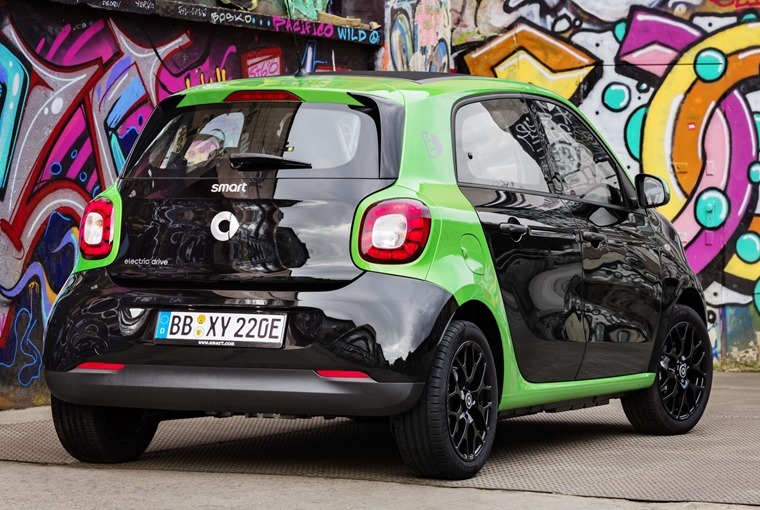 Smart won’t be including the 22kW charger in the car initially, meaning there’s just the 7kW charger to rely on. That translates to an 80% charge taking two and a half hours from a wallbox that’s included in the price, or six hours from a normal household socket. 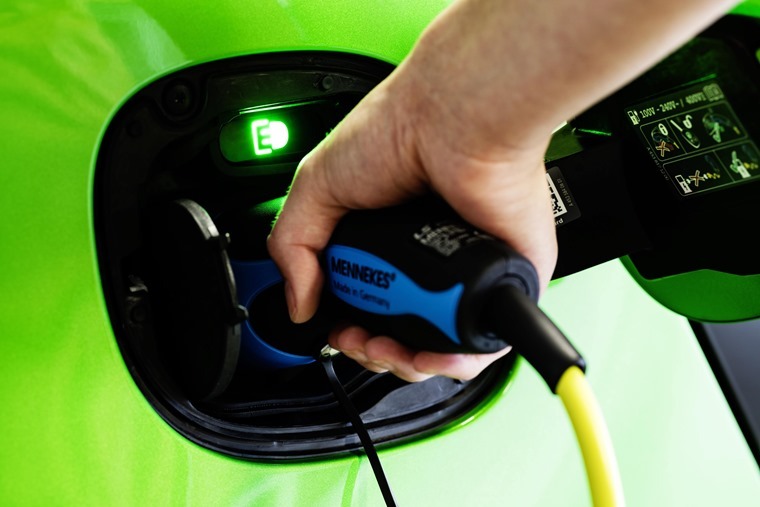 The beefier charger arrives in 2018 and could bring rapid charge times down to just 45 minutes, but there’ll be no way of retrofitting existing cars so if that’s important you’ll need to hang on a while. The added practicality of the Forfour goes a long way to increasing the appeal of a Smart, but in transforming to a four-seater it loses something of the excitement of the Fortwo. And, with lease prices currently around £300, it’s a lot of money to ask for a car that doesn’t have the range or practicality of the Renault Zoe or Nissan Leaf.